Today's card is one that we made a few weeks ago at a workshop. I am loving the Springtime Vintage Designer Series Paper from the Occasions Mini Catalog - I wish they would continue to offer it in the new catalog when it comes out in July. 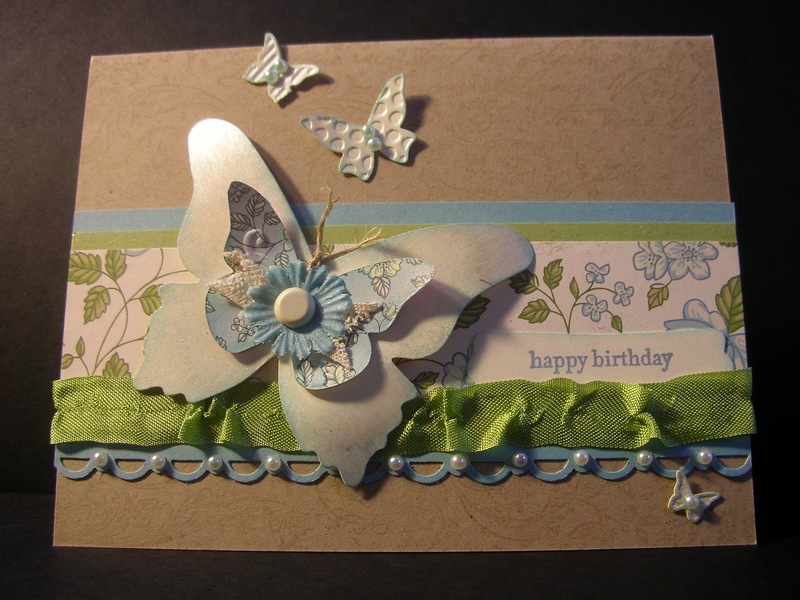 This card uses so many different supplies but yet remains clean & uncluttered which I love. Here's a list of everything I used - can you see all of them?